When and why is this modification made? The maelstrom around Kessel, a hazardous electrically charged swirling cloud of dust and rocky debris, in order to circumvent an imperial blockade and get their coaxium refined before it goes unstable. They are chased by tie fighters, a large beast living within the maelstrom, peppered by rocky debris, struck by lightning, and fight against the immense pull off a gravity well within know as the Maw. 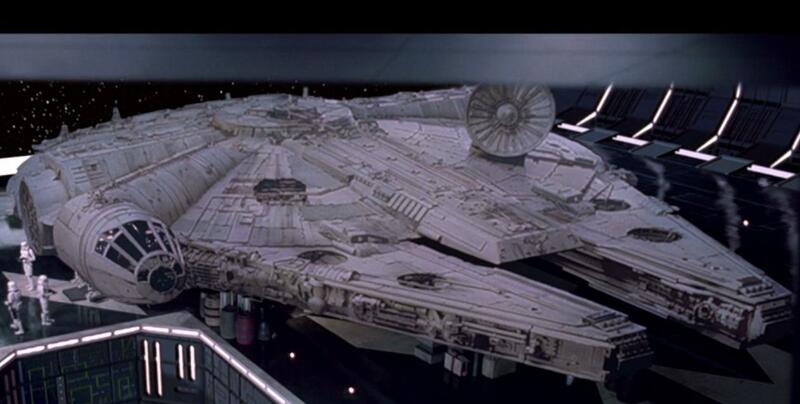 The Millennium Falcon takes extensive damage, and we see it no longer has it's front central nose piece. Even after Lando does some significant repairs, we see he either chooses to not reinstall this piece, or just hadn't gotten around to it by the time Han wins it from him. The result is that it was never readded. Lando specifically mentions he placed an "escape pod between the mandibles" (i.e., the front of the spaceship) during the course of the "Solo" movie. 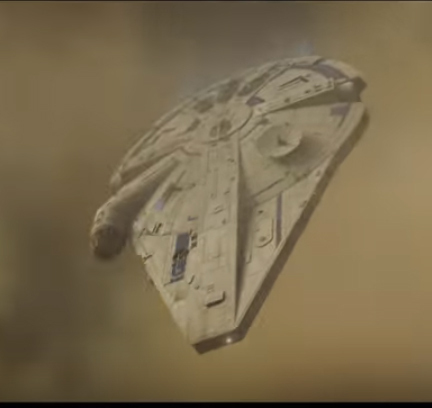 During the events described in Mwr247's answer, Han Solo launches this escape pod into the Maelstrom to lure the creature chasing them into the gravity well, giving the Falcon back its old signature profile. 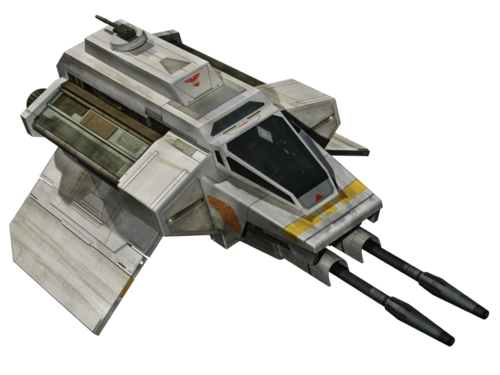 However, it is possible that the Falcon was originally equipped with a small shuttlecraft that docks on the front of the main vessel, and this is what we're seeing as that extra place that is filled in on the nose of the ship. 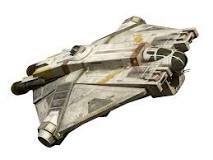 The reason I say this is that we know other Correllian ships are made with this "accessory," such as the VCX-100 light freighter, like the Ghost from Star Wars Rebels. This freighter is equipped with the exact same type of mini-ship (the one on the Ghost is known as the Phantom), though it docks on the back of that ship. Not the answer you're looking for? Browse other questions tagged star-wars a-new-hope millennium-falcon solo-a-star-wars-story or ask your own question. 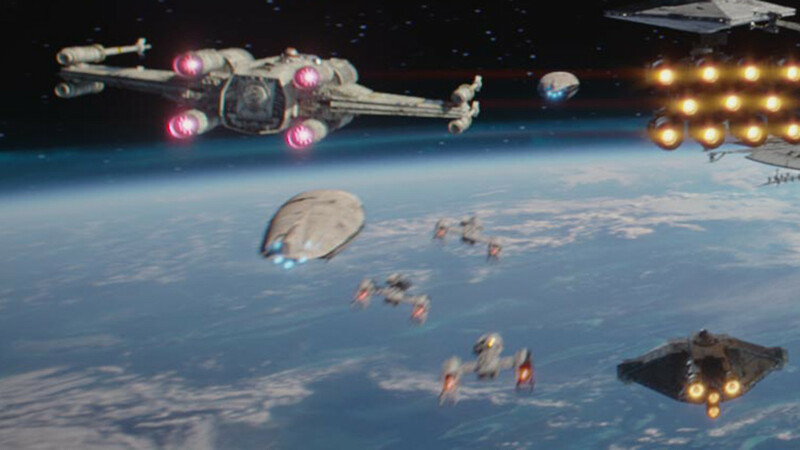 Why didn't they use the extra cannons on the Millennium Falcon? What is the purpose of the blast shield helmet?